Home / Brooks Brother / button downs / Club Monaco / graphic top / Jcrew / spring / Zara / "Clothes make the [wo]man. Naked people have little or no influence on society"
"Clothes make the [wo]man. 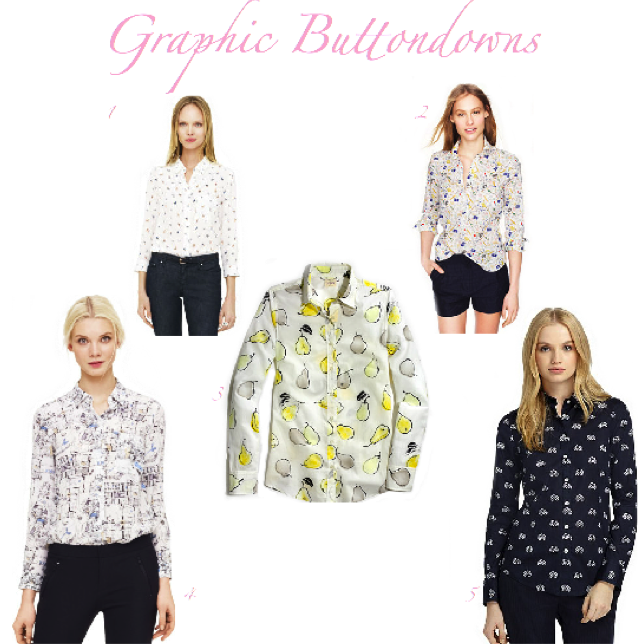 Naked people have little or no influence on society"
Graphic print button downs are one of my favourite trends for spring. I'm loving how fun and quirky everything is. Here are a few of my favourites (they are a little hard to see, but the links are provided below). And I like this too!